Two Little Hands releases long-awaited potty training program. We designed this program to support any potty training method parents choose to use. It’s going to make potty training easier and more fun – no matter what. For over a decade now, parents have been asking Emmy-nominated children’s television programming host, Rachel Coleman, to make a potty training program for their children. “I resisted it,” Coleman confessed. “But when I resist something that is actually a good idea, it usually only takes about ten years to break through to my good senses,” she says with a smile. So the star of Signing Time and Baby Signing Time got behind the camera to sing, sign, and dance about - you guessed it - Potty Time. 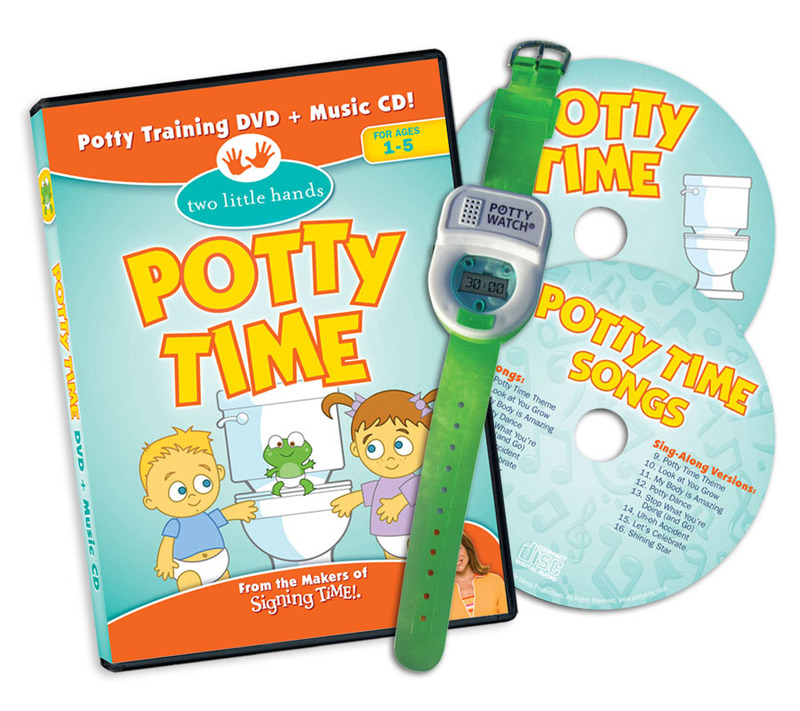 The Potty Time product line includes a DVD and accompanying music CD, board book and Potty Time reminder watch that reminds children when it’s time to go, and is available in three colors: green, pink, and blue.